I don’t do a lot of book reviews because, honestly, I don’t have a lot of time to sit still and read. But, when I saw the title for this book Contagious Optimism I knew this was a book I HAD TO HAVE!! I use to be the most optimistic person!! I use to be ridiculously upbeat and happy all of the time! Then my switch got turned off one day and I’ve been searching for my way back ever since!! 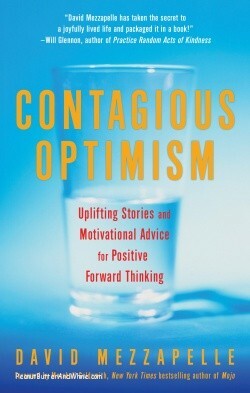 Contagious Optimism isn’t a book you have to sit and read in one sitting. This isn’t a book you even have to read in order. You can read page 147 today and read page 12 tomorrow. Each category is different. Each page has something that speaks to ME!! My copy is already dog eared, book marked, highlighted and post-it noted from cover to cover!! Contagious Optimism includes stories, advice, actions and insights from business leaders, visionaries, and just plain folks like you and I.
CONTAGIOUS OPTIMISM stands behind the belief that we all have the capacity to make optimism contagious just by sharing our life’s adventures, and author David Mezzapelle has found a group of unstoppable optimists who have made their lives exactly what they want them to be. This book is, cover to cover, uplifting stories! 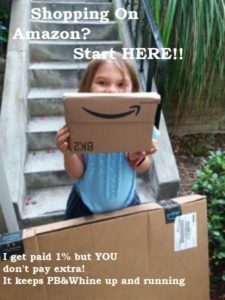 This book is packed with motivation and advice to get you on track to be where you want YOUR LIFE to be!! Each page is filled with powerful stories of how people made their life better! How they over came odds! How they have become happy in their lives!! I keep this book in my ‘day care’ bag. It’s the bag I lug with me everywhere, everyday. It’s filled with my projects for the week and now for my daily shot of inspiration and positive thinking!! I highly recommend this book to EVERYONE!! Honestly, I have trouble believing your ‘Optimism Switch’ was shut off at some time, but I guess I’ll just have to take your word for it. You do have me curious about this book. I’m glad you’ve had a good experience with this book and continue to enjoy obviously! It is definitely a manual for picking up your spirits. I’ll have to see how this book would ‘fit’ me. I especially like the ‘contagious practice’. Thank you for your engaging review!